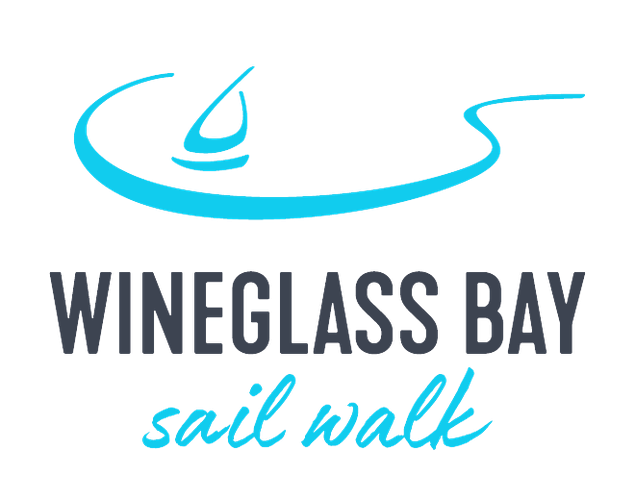 At times the itinerary will need to be changed due to sailing conditions. 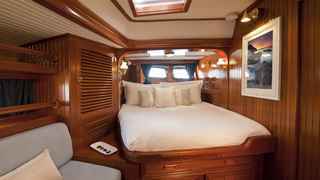 If alterations are made your guide and crew will keep you well informed. We begin our journey at Fortescue Bay. 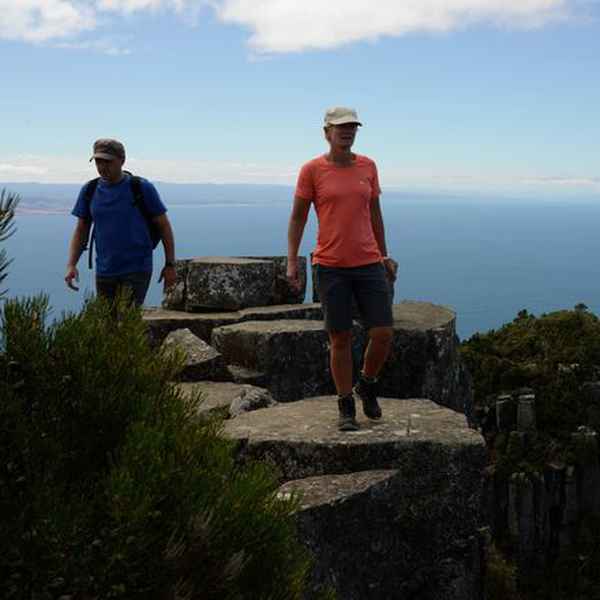 This 4-hour return walk begins with a gentle ascent on a well-crafted track, before climbing atop the towering dolerite sea cliffs this peninsula is famed for. 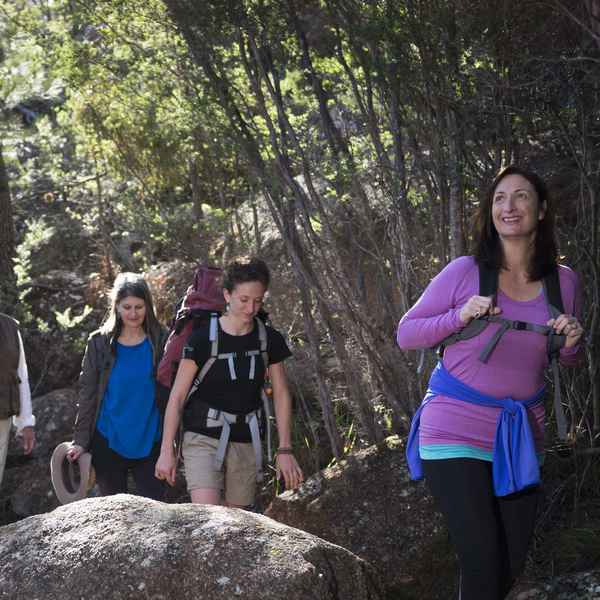 Along the way, you’ll pass through heath and woodland vegetation before the view opens up to magnificent rock formations. Your guides will point out well-known sea stacks including the Candlestick and the Totem Pole. 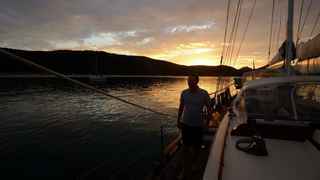 Arriving back at Fortescue Bay, we transfer via tender to our 23-metre (75-ft) luxury ketch, Lady Eugenie. This will be your floating home for the next five nights. Once aboard, enjoy a glass of wine with pre-dinner nibbles with the dramatic cliffs of Cape Hauy as our backdrop. 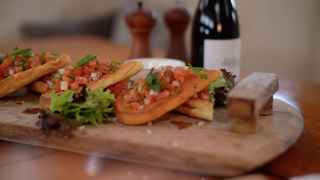 A gourmet dinner of local Tasmanian delicacies will follow, prepared by your guide and yacht crew in the shelter of Fortescue Bay. 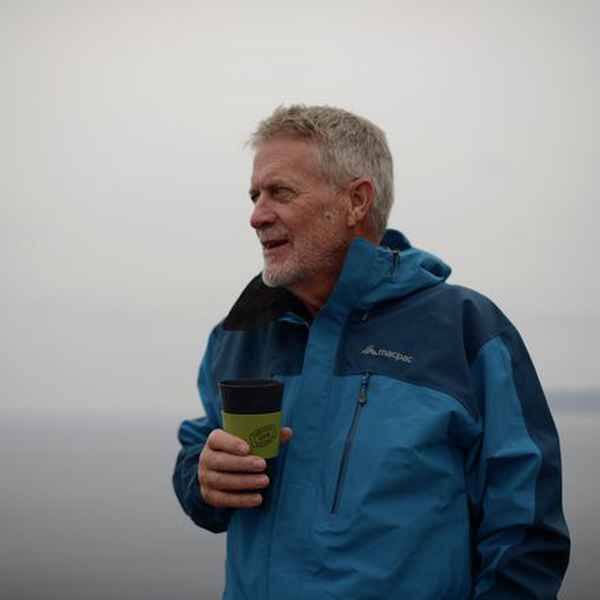 The day begins in Hobart where you will meet your guides at the IXL Atrium at 7:30am. 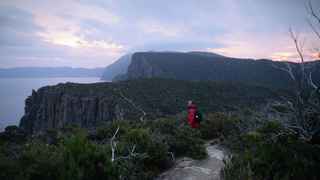 After a brief gear check and introductions, we board our bus and travel to the fishing port of Pirates Bay, on the spectacular Tasman Peninsula arriving around 10.00am. Our morning begins with a short boat ride to the shoreline of Fortescue Bay. Here, choose to take an early morning dip or a short walk to Canoe Bay and back through small pockets of rainforest and coastal vegetation. We return to the Lady Eugenie where we have lunch on-board and then set sail, slow-cruising toward North Bay, taking in the mighty dolerite spires from sea level. As we cruise along the Forestier Peninsula, we follow in the path of early European explorers such as Tasman, du Fresne and Baudin. 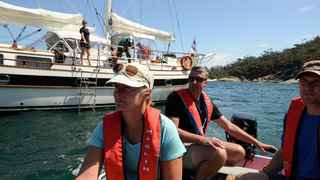 We drop anchor near the very spot that Abel Tasman first landed in Tasmania in 1642. 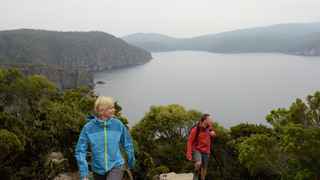 Here we lace up again for a gentle headland walk to wide-spanning views over-looking the Tasman Sea before retiring back to the yacht for a relaxed dinner aboard. 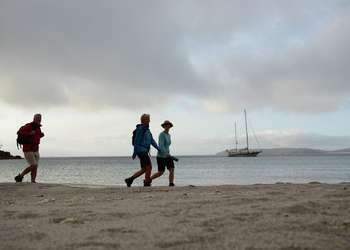 A scenic morning’s sail past Marion Bay, Cape Bernier and the south end of Maria Island brings us to the World Heritage-listed convict site of Darlington. Once populated with prisoners, it is now home to an array of architectural relics and abundant wildlife. Today, we tackle our highest climb, the 630m ascent of Bishop & Clerk (4 to 5 hours return). 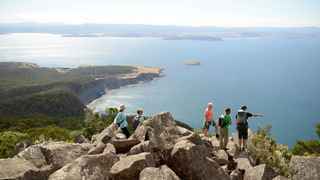 As we traverse the high cliff edge of Fossil Bay, we are afforded sweeping views toward Schouten Island and Freycinet Peninsula, a glimpse of our journey to come. Perched high atop the dolerite columns of the summit, we enjoy lunch, with time to ponder the beauty and isolation of this island landscape. Come late afternoon, we retire to the comfort of our luxury yacht for pre-dinner nibbles and a delicious meal to celebrate the challenges and triumphs of our day. 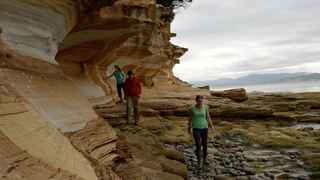 For those wanting a more relaxed adventure, we visit the beautiful sandstone patterns and structures of the Painted Cliffs. We can also learn more about the island’s unique Aboriginal, convict and industrial histories whilst rambling around the Darlington precinct. 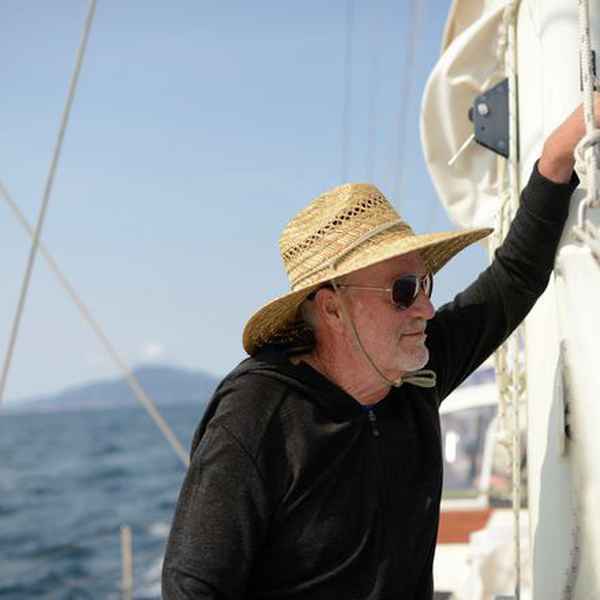 Following a leisurely breakfast on board Lady Eugenie, we set sail, leaving Maria Island and heading north on a 4-hour journey towards Schouten Passage. 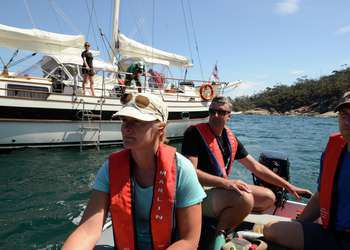 Sailing past the large sedimentary deposits of Fossil Bay and the towering dolerite columns of Bishop & Clerk, a rare geological beauty comes into view: the pink granite boulders and mountains of Freycinet Peninsula. Along the way, we get an up-close view of an Australian fur seal colony that makes its home on the rocky outcrop of Isle du Phoques. 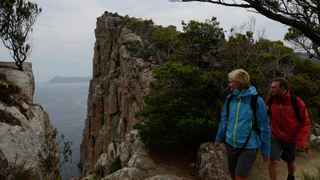 After dropping anchor, we disembark on the secluded Schouten Island for a scenic 3-hour walk, climbing to the top of Bear Hill. Those who would prefer a leisurely afternoon can snorkel, swim or relax on-board. 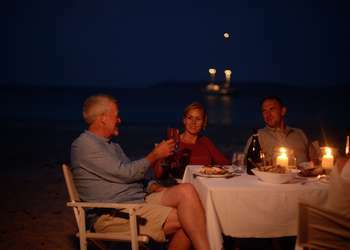 Tonight is very special; a luxury barefoot beach dinner on the secluded shores of Schouten Island. Return from Bear Hill to plump Pacific oysters and Tasmanian sparkling as part of a three-course outdoor dining experience. After dropping anchor, we disembark on the secluded Schouten Island. We embark on a scenic 3-hour walk, climbing to the top of Bear Hill. We can also enjoy a more leisurely afternoon relaxing on-board or at the beach, with opportunities for snorkelling and swimming. 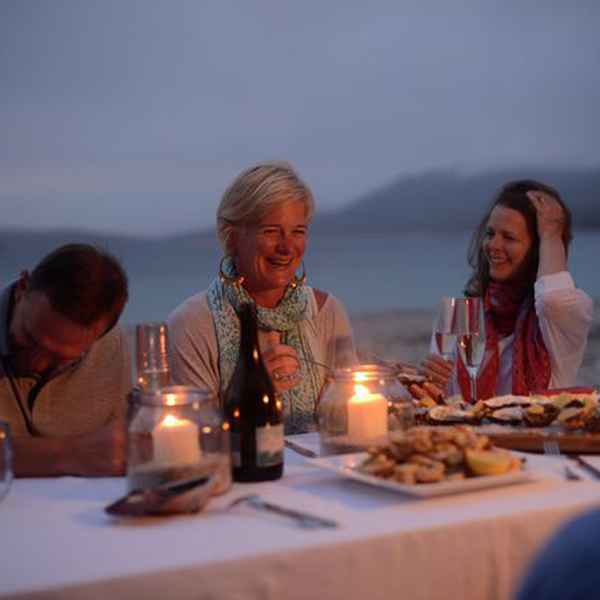 Tonight you will enjoy a luxury barefoot beach dinner on the secluded shores of Schouten Island, again featuring the finest Tasmanian food and wine. 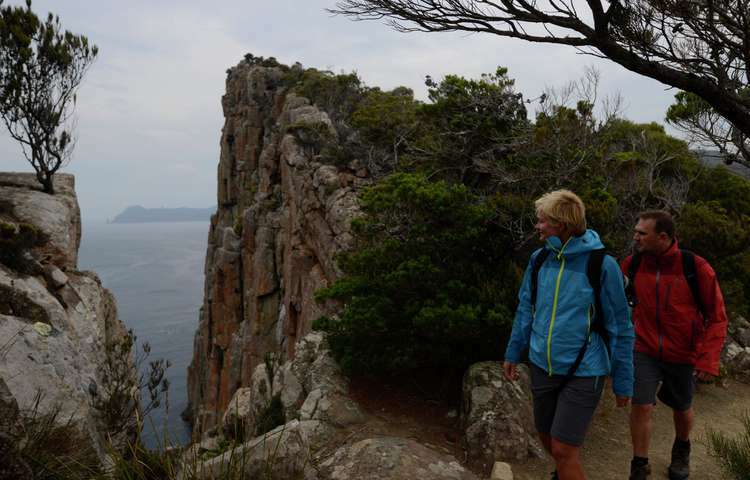 Over breakfast we decide whether we ascend Mt Graham and take the high route to Wineglass Bay or opt for the less challenging but equally stunning coastal section of the Freycinet Peninsula circuit track. 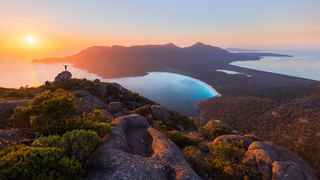 The former sees us head inland from the shores of Cooks Beach and ascend through tall Tasmanian Blue Gum forests before traversing the button grass fields of the East Freycinet Saddle, dotted with seasonal wildflowers. 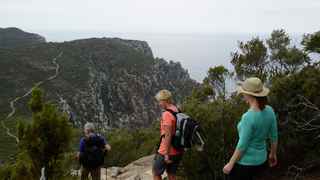 The trail descending from Mt Graham and Mt Freycinet takes in spectacular coastal views including iconic Wineglass Bay. 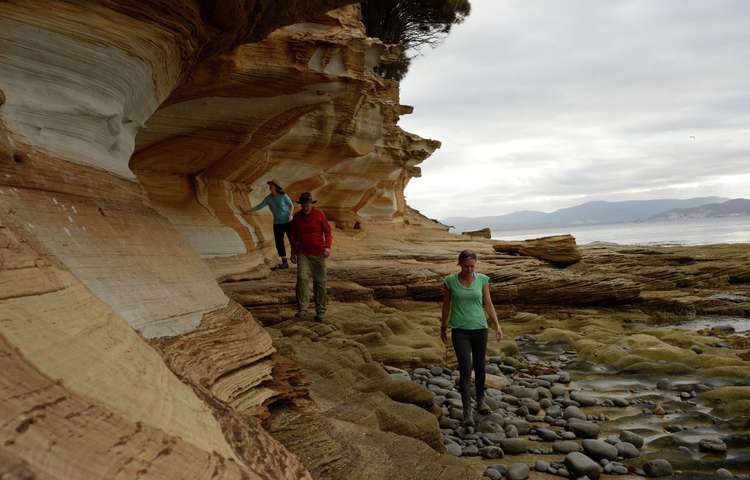 The coastal track heads north from Cooks Beach following the shores of enticingly-named Promise Bay while The Hazards mountain range gradually reveal to dominate the northern vistas over the peninsula’s isthmus. 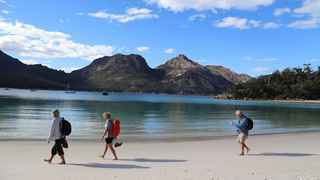 An hour's walk along Hazards Beach will bring us to the Isthmus Track where we’ll enjoy a close up view of wildlife at the lagoon before setting foot on the white sands of Wineglass Bay. After our day of walking, there’s time for a refreshing swim before boarding Lady Eugenie. The coastal track heads north from Cooks Beach following the shore of the enticingly-named Promise Bay while The Hazards mountain range gradually unfolds before us to dominate the northern vistas over the peninsula’s isthmus. 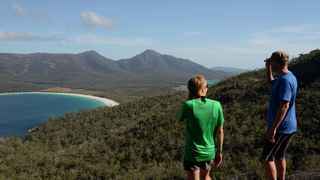 An hours walk along Hazards Beach will bring us to the Isthmus Track which provides the opportunity for a close up view of the wildlife at the lagoon before setting foot on the white sands of Wineglass Bay. Our final day begins with breakfast on board Lady Eugenie. We can observe the busy shorebirds and towering forms of The Hazards mountain range above. 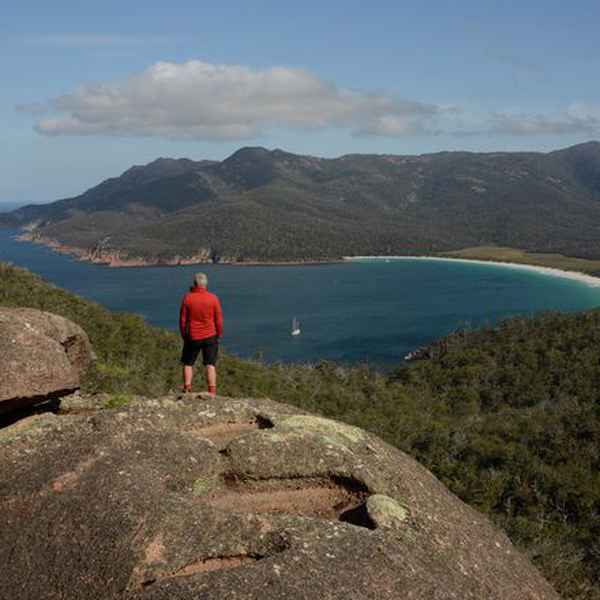 We ascend gently between pink granite boulders and, taking our lunch trackside, we overlook the white sands and turquoise waters of Wineglass Bay below. A steep descent on a well-constructed track brings us back to meet our bus, ready to take us to Hobart. 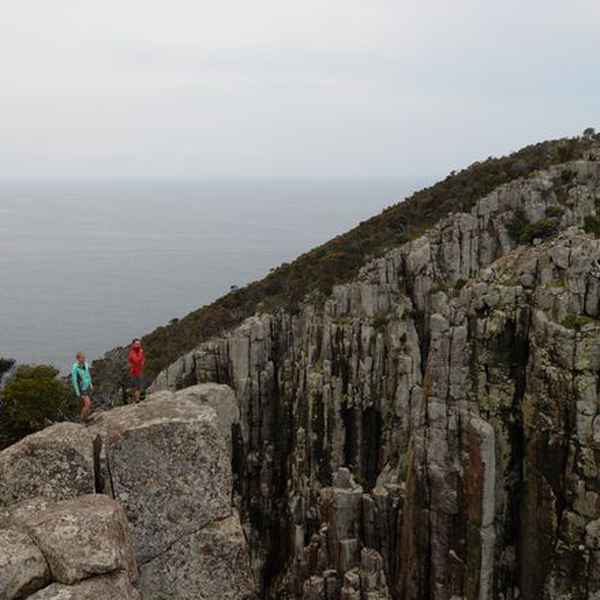 Our return trip travels down Tasmania’s east coast. The journey is not over yet, though. We visit a Coal River Valley vineyard for canapés and celebratory drinks, easing us back into life off the track and the comforts of Lady Eugenie. We then return to Hobart via the Hobart Airport.